A free service that you can call, email or search online that connects individuals with intellectual and developmental disabilities and their families with resources in St. Louis City, St. Louis County, and St. Charles County. It is designed to be the one place you can find answers to all of your needs, whether by talking with one of our Community Connectors, or by searching the website on your own. You have questions? We are here to help! What is a Community Connector? Community Connectors are IDDHelp team members who are working the phones - ready to listen and to help. They are knowledgeable about the resources for people with Intellectual and Developmental Disabilities in the Greater St. Louis Region and will guide you through options to meet your needs. They are compassionate, friendly, patient, and ready to help. What is an SB40 Board? Senate Bill 40 Boards (SB40 Boards) are public taxing entities, approved by taxpayers in certain counties throughout Missouri, with the purpose of funding services for people with developmental disabilities. IDDHelp is a partnership of this region’s SB40 Boards. 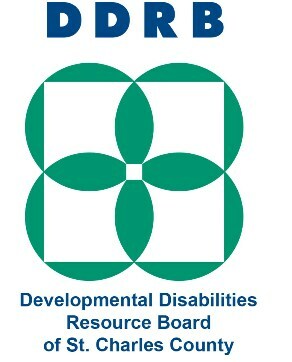 This partnership consists of The Productive Living Board for St. Louis County Citizens with Developmental Disabilities (PLB), Developmental Disabilities Resource Board of St. Charles County (DDRB) and the St. Louis City Office for Developmental Disability Resources (DD Resources). Everything you share with your Community Connector is confidential unless you are in danger of hurting yourself, hurting others, or someone is hurting you. Community Connectors are trained to connect you to the resources needed to keep you or others safe. There will be times when it might be appropriate for a Community Connector to make a call on your behalf to help you advocate for yourself. In these situations, the Community Connector will ask for your permission to share your information. I have a case manager, why do I need IDDHelp? IDDHelp partners with local agencies, all of whom are interested in getting you the help you need as soon as possible. IDDHelp is focused entirely on answering calls and emails, connecting you with resources. If your case manager is not available when a question arises, you can call us. Community Connectors are at the ready 8-5pm Monday through Friday. I clicked the SEARCH option and nothing happens, is the program broken? IDDHelp.org uses some pretty sophisticated and powerful routines as it looks to to provide you with the most reliable information. Doing so requires that you use one of these latest software browsers (Chrome, Edge, Firefox). Other late version browsers may also work, but IDDHelp.org is only regularly tested on the three browsers provided. Is this service really free or is there a charge? What are the hours of IDDHelp? Individuals can call Monday through Friday between 8-5pm and speak to a Community Connector. One can go to IDDHelp.org anytime to search for resources or send a message to the Community Connectors. What can I expect when I call IDDHelp? A friendly, educated, and knowledgeable IDDHelp Community Connector will answer the phone and listen to your story. They will assess the situation and problem solve with you. You can expect to be provided with appropriate information, resource referral, and advocacy when needed.